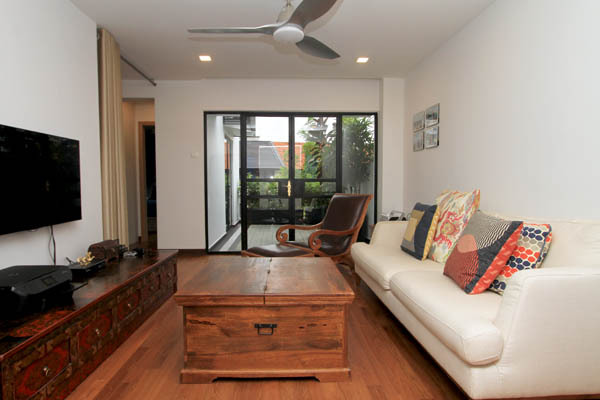 While Singapore is a relatively young society, it is encouraging to see more of us embracing our unique and special heritage accents within our homes amongst the majority of contemporary favoured houses. In recent years, more black and white styled homes have seen an up-rise in demand which pay homage to our colonial past. 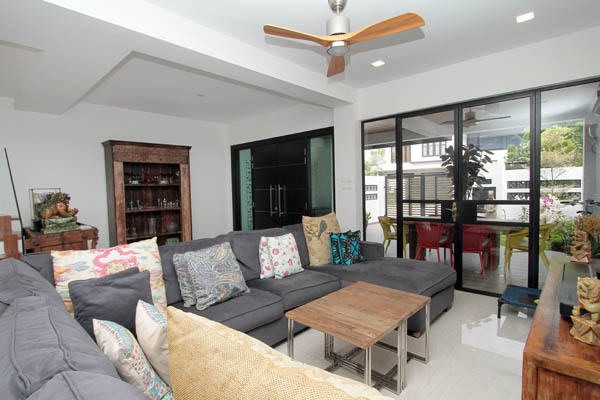 In addition, more Peranakan style elements are becoming a popular interior option much like this makeover home that we recently handed over. 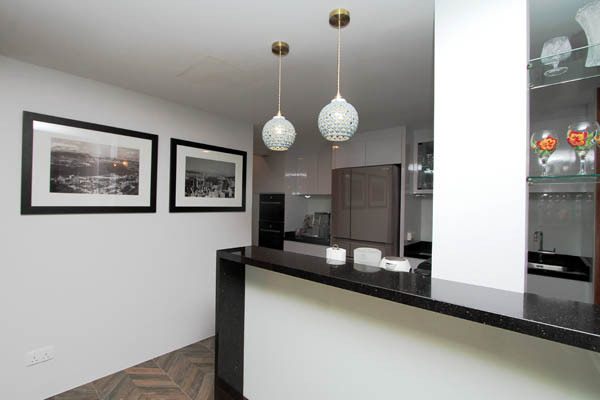 Makeovers tend to push the creative juices of our design team because unlike rebuilds which allow creativity to evolve from scratch, the former is all about revitalising a pre-existing structure within the boundaries it may possess. 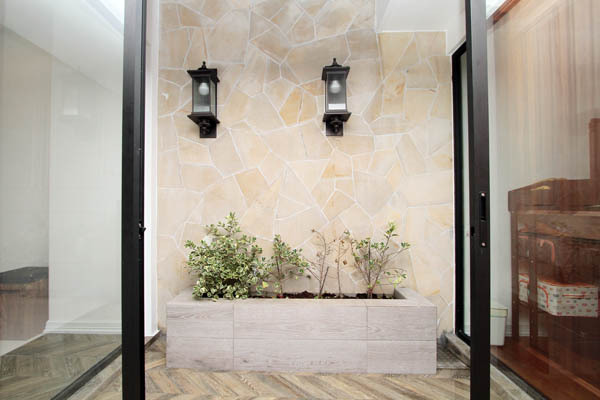 Completed in approximately 5 months, this house transformed through a myriad of aesthetic replacement of tiles, repaints and decorative additions. With the presence of many contemporary styled houses, it’s no surprise why new homeowners require modifications when they take over their new residences. This home was no different. 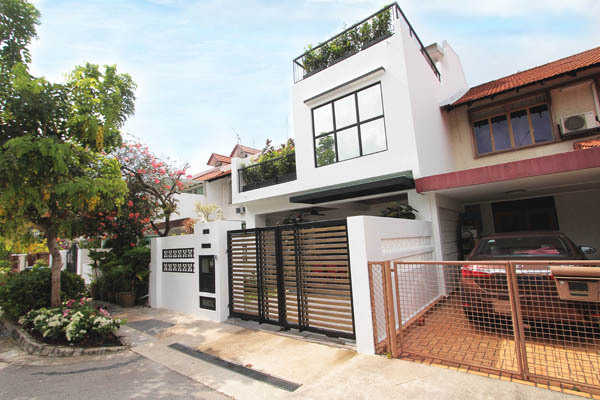 A rather well-maintained house, the former state of this intermediate terrace was a far cry from the vision of a heritage blend its homeowners had in mind. 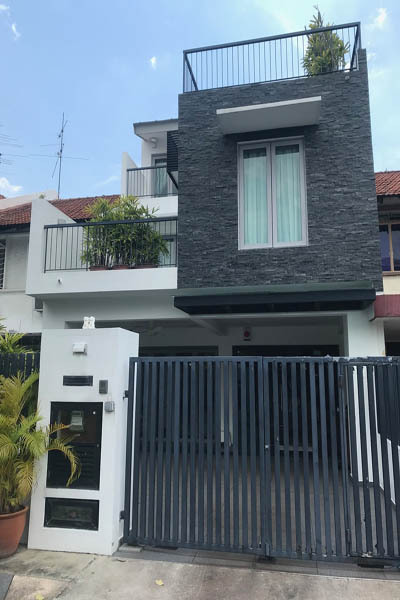 Contemporary designed with a feature exterior wall in charcoal grey stone, this home encompassed very minimal clean lined interiors that while practical lacked the character a colonial essence theme exterior would bring to suit the wish list of its new inhabitants. 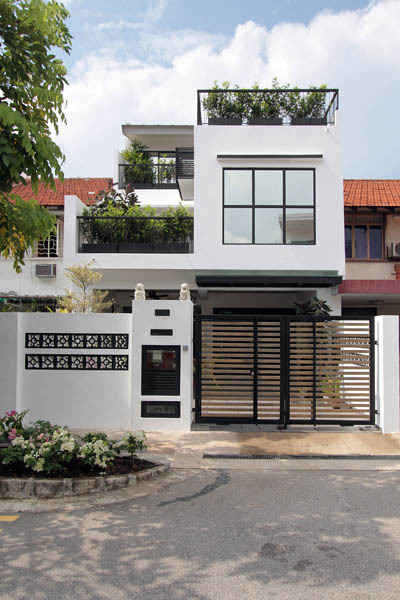 With the direction of local influence, this home’s exterior encapsulates a colonial black and white inspiration starting right from the boundary wall with the presence of black painted decorative cement blocks. 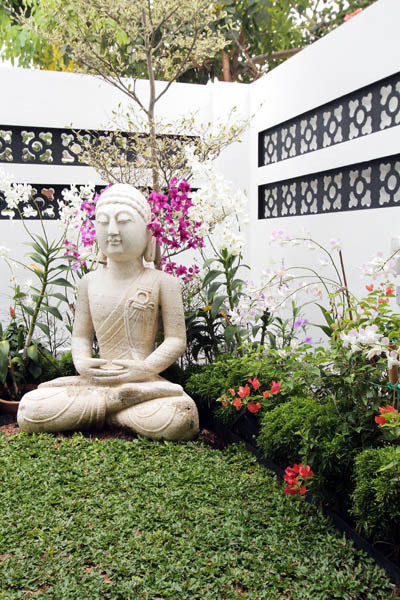 Proceeding in, a monumental stone Buddha sits amongst the fauna facing toward the outdoor dining space. 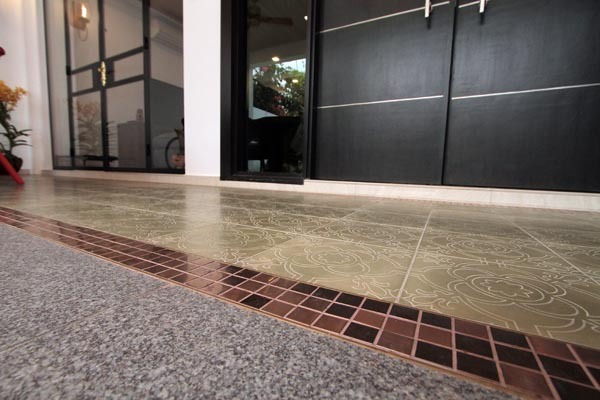 Its flooring becomes a stunning feature on its own with a beautiful mix of varied tiles that blend in symphony. 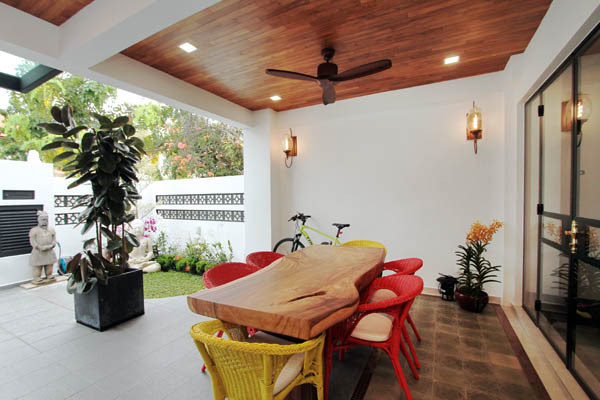 Turning the view up, the ceiling is decorated with rich honey hued wooden slats that compliments its accompanying fan bringing out the warmth of the space. 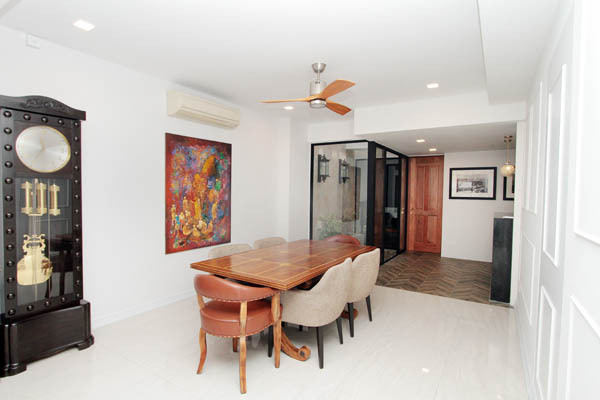 Entering into the home, the fluidity of space with its open concept draws attention to the depth of the home starting with the living room followed by the dining area and ending with a quaint air well. Working around exising elements of the home, one such area at the dining. 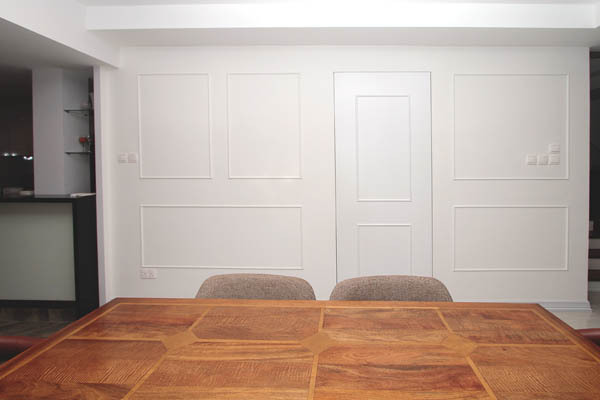 A once geometric designed feature wall was decoratively replaced with wall paneling while maintaining its concealed functionality. 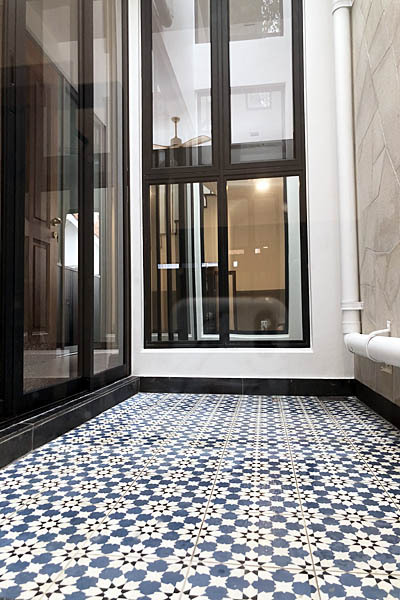 The air well like parts of the home were re-tiled and windows replaced from its former grey to its now sleek, black powder coated aluminium-glass frames. Next to the air-well, the wall before the dry kitchen previously black was repainted and toned down to a more refreshing white, brightens the existing kitchen space. Journeying up to the second level, existing parquet flooring remained and with a varnish was brought back to its original splendour. 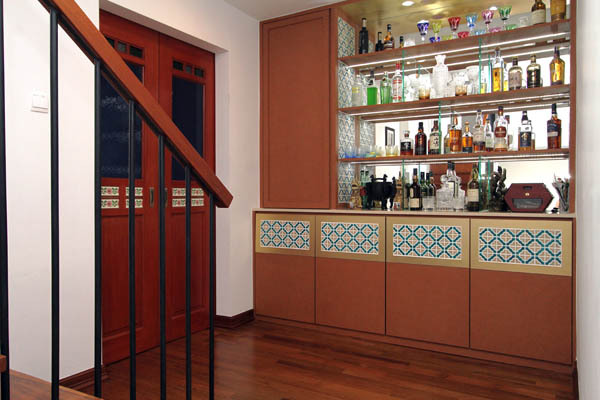 Peranakan accents begin to unearth from the air well flooring to the drinks display cabinet and to the custom door that leads to the junior master suite; a luxurious space consisting of a living area, balcony, custom built-in wardrobe, bedroom and en-suite bathroom. 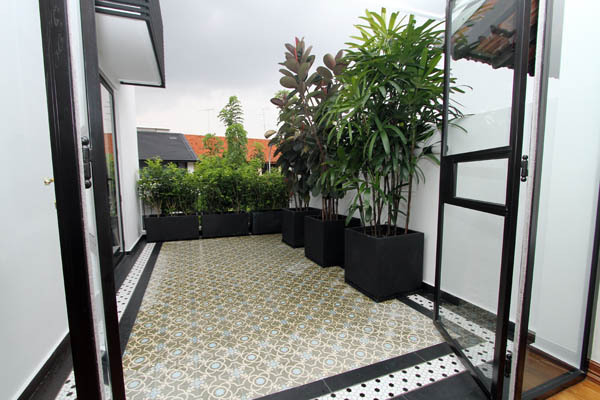 Tiles chosen on the second storey balcony once again play on a good mix and match. 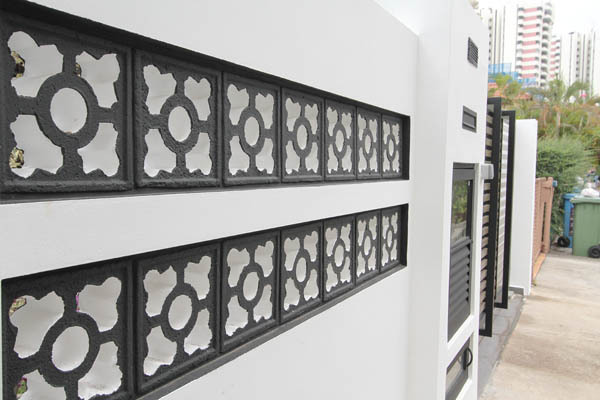 This time opting for more muted tones with a touch of ethnic motif that compliment the black and white exterior. Ascending to the attic, the master bedroom looks out to a private terrace. 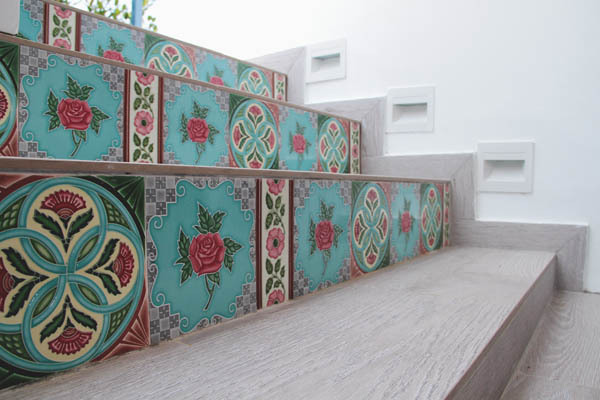 Continuing its heritage blend, traditional Peranakan tiles are purposely decorated within the outdoor steps that lead up to a sheltered seating area. 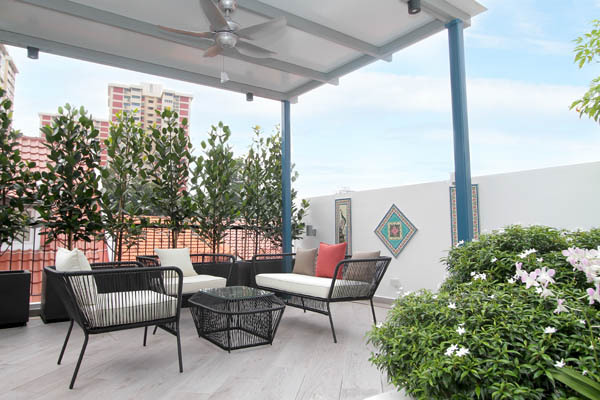 Surrounded by plants, the terrace is the perfect tranquil accompaniment to the master floor. 1. Detail and transparency of their quote. The work was clearly spelled out, costs were clear and timelines were transparent. 2. Professionalism and quality of the work and and the workers. Not only was the work of high quality, the diligence and professionalism of the team was very high. They were always on time and the pride in their work was evident. 3. Adaptability and Cooperation. Over the course of a 5 month project, issues will arise and design changes occur. The Nic & Wes team were helpful in both their ability to accommodate the changes, but make helpful suggestions to avoid costs or avoid structural issues. 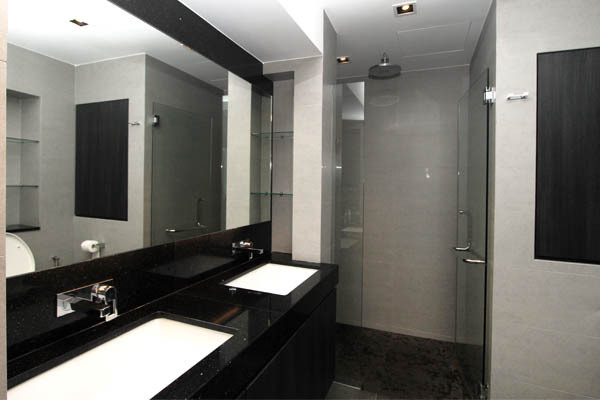 You want to feel like your builder is a partner and the Nic & Wes team were certainly that.